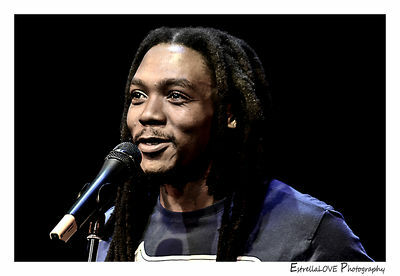 Thabiso Mohare, better known as Afurakan, is the co-founder of Word N Sound and the crown prince of Johannesburg’s underground slam poetry. He is best known for his stage improvisations on hip-hop tunes. His style has caught the attention of many slam poets and and writers across Africa with its rhythm and provocative nature. His activity within Johannesburg's poetry movement can be traced back to the “So where to” poetry events back in 2003 and his work with the poetry collective Soul 2 Mouth, among others. Afurakan has played a vital role in the growth of the spoken word movement in Johannesburg and South Africa. Word N Sound Poetry and Music Series is a platform for the expression of spoken word. The venture is an attempt to make a positive impact on youth in the city. As a cultural form the craft draws on ancestral oral traditions and fuses with with modern music genres such as jazz, house music and hip hop which are a global phenomenon. It functions as a conduit for the aspirations of a marginalized generation and teaches young people to articulate their ideas.